All cryptocurrencies can be divided into two basic factions: coins that are used mainly as a means-of-payment, and coins that are used as settlement layers (in other words, they are used as a base upon which other cryptocurrencies and decentralized applications are created). Dash (“Digital” + “Cash” – “igital”) is the latter. It was created in 2014 as a cryptocurrency that could send and receive transactions quickly, cheaply, and with true anonymity. Originally named “Darkcoin”, Dash is one of the premiere anonymous cryptocurrencies. The Dash website cites use cases as buying or selling goods and services, contributing to projects and charities, sending money to family and friends, and more. Dash’s InstantSend and PrivateSend functions allow users to have the options of sending transactions instantly and anonymously. Dash uses an incentivized 2-tier network that was created to solve some of the problems faced by other crypto networks (ie Bitcoin), like the prevention of Doublespending, privacy concerns, slow and expensive transactions, and lack of a structure for governance. The Dash network splits duties between two groups (tiers): masternodes and miners. Dash has built a network that is capable of processing transactions instantaneously with small transaction fees. Dash has also intentionally created a culture of learning and user-friendliness surrounding their coin. Dash has made adopting their coin as a means of payment for any business an easy affair; current merchant partners include ShakePay, Living Room of Satoshi, Claws Mail, Misconduct Wine, Brave New Books, and about 100 other ones. This relatively widespread adoption is a very positive sign that Dash is making moves as a technologically-sound means of payment and a promising investment. Although Dash has been marketed as a very anonymous coin, it is not completely anonymous by default. In order to make transactions anonymous, users can choose to use Dash’s PrivateSend function. Essentially, PrivateSend is a more complicated version of Bitcoin’s CoinJoin. PrivateSend operates by mixing transactions of similar sizes together so that it is extremely difficult to tell where transactions are coming from. Let’s explore this with a comparison to Valentine’s Day in elementary school. Half of the class (Dash senders/spenders) wants to deliver a Valentine (some Dash tokens) to someone in the other half of the class, but the shyer students don’t want any of their fellow students to know who their Valentine is. So, the sending students write the names of their Valentines on the outside of their envelopes, which all look about the same. Then, the teacher (the masternode) collects all the Valentines from the sending side in a big pile, and distributes them to the receiving side of the class. The teacher doesn’t know who sent which Valentine; all she knows is where the Valentines are going. None of the students watching know who sent which Valentine, either. All they know is that Valentines were sent and received. The teacher (the masternode) never has direct contact with any of the Valentines. She just acts as a middleman. It’s up to the sender of the Valentine whether or not they want the receiver to know who the Valentine is coming from–all they need to do is sign their name. InstantSend is exactly what it sounds like–it is a function that allows Dash users to instantly send Dash tokens to one another. This is one of the reasons that Dash is so well-suited to use as a means-of-payment in online stores. The Dash network is an incentivized two-tier network, unlike Bitcoin (which is single-tier). This means that there are two groups of users that perform separate duties to make the dash network function: miners and masternodes. Every time a block is mined, 90% is distributed equally between masternodes and miners. The leftover 10% funds the Dash “treasury”. Essentially, node is a computer on a blockchain network that is responsible for holding the network up, verifying transactions, and mining or forging new blocks. In return for their services, nodes are given token rewards. Successful crypto networks have thousands of nodes. masternodes are like regular nodes, but with some added functionality and, accordingly, added rewards. masternodes are responsible for governing the Dash network as well as performing the specialized InstantSend and PrivateSend transactions. The governance aspect is to prevent ideological divides (like the recent ones that have resulted in some changes in Bitcoin) from happening in the Dash network. Each masternode is given one vote in regards to issues like software upgrades, Dash core team salary, Dash marketing expenses, and more. A masternode must hold a minimum of 1000 Dash tokens and run 24 hours a day with no more than a one-hour connection loss. In exchange for their services, a Masternode earns 45% of the block reward on every block that is mined. Typically, this amounts to about two Dash tokens a week–roughly US$650 at the current valuation. The 1000 Dash token holding requirement is to safeguard against Sybil attacks, which occur when identities are forged in a network. 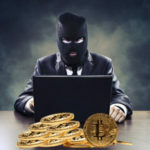 This causes the network’s reputation system to be compromised, and can allow these forged identities to gain serious influence over a network. Networks that use masternodes have come under some criticism because the notion of a masternode makes any network more centralized than a network that does not use them. However, networks that use masternodes are usually more stable in terms of value and technical operability. If you want to become a Masternode but don’t have the funds lying around, you can invest in a Masternode share. Dash uses a Proof-of-Work algorithm (similar to Bitcoin), so miners perform the same basic operations on the Dash network that they do on the Bitcoin network. They are responsible for adding more blocks onto the network and for verifying transactions. Unlike Bitcoin, which uses the SHA256 algorithm, Dash’s PoW algorithm is the X11. The X11 PoW algorithm was invented by Evan Duffield, the creator of Dash. The X11 uses a sequence of eleven scientific algorithms–this level of complexity was intended to delay the creation of hardware that was capable of mining the blocks with extreme efficiency before the Dash network had a chance to widely establish itself across a network of users with all different kinds of hardware. This is important to prevent the centralization of any network. For example, Bitcoin’s algorithms have gotten so complex that it takes roomfuls of expensive equipment to mine profitably–a factor that locks out “mom and pop” miners from the Bitcoin mining industry. Practically, this has the effect of making the network more centralized–miners who can afford to create these complicated mining rigs end up holding large percentages of the network, and can use their power to manipulate the market. The official Dash wallet is a user-friendly piece of software that can be downloaded directly from the Dash website. Dash can also be stored in the reputable Exodus wallet. Dash is one of the most widely-available coins on the market. It can be purchased using the Dash wallet, or on Bithumb, Poloniex, Bitfinex, HitBTC, Bittrex, Kraken, Livecoin, YoBit, BTER, Exmo, Liqui, Tidex, LocalTrade, BX Thailand, Bitsane, Altcoin trader, COSS, Cryptomate, Novaexchange, and at least a dozen more. Because Dash has made it easy for merchants to adopt Dash’s payment platform into their online stores (and a few have already done so), it has positioned it well for more widespread adoption. 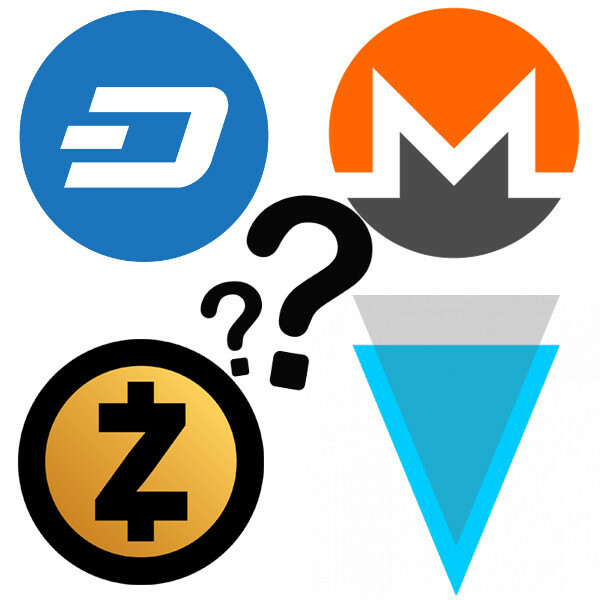 The more merchants decide to adopt Dash, the greater that the value of the coin will become. Within the last three months, Dash has maintained a sideways trend–not a great sign for the coin’s short-term future. However, if you have researched Dash and believe that it will continue to become more widely adopted and used, it may have great potential as a long-term investment. A single Dash token is currently valued at approximately US$320, up quite a ways from its value of US$11 one year ago. At the time of writing, it is the coin with the sixth-largest market cap.